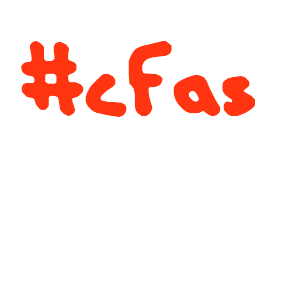 CFAS_150412: What is Crowdfunding to me? Steffen Peschel started an interesting action, in his Kultur2Punkt0-Blog with crowdfunding on Sunday (cfas), which I willingly want to support. On this weekend, it’s all about thinking individually about crowdfunding – “What is crowdfunding to me”? Well, where to start? In January 2008, my attention was drawn to SellaBand through an article in the WiWo (economy week). It was my first contact with crowdfunding (CF) and in Germany, at that time, only the fewest had heard something about it. At the time I was convinced, that CF could be a) an investing opportunity and b) a way of revolutionizing the music industry. 2. CF needs to find its way back to what really makes crowdfunding decisive: the crowd- the community is the most important aspect of CF but today it’s mostly left behind- investing in developing a community is therefore the crucial success factor for a CF platform. 3. CF in Europe doesn’t work if based on a national standard- there’s a national CF platform being provided to a small market- problems here occur because of the different cultures in Europe, which need to be overcome which need to be individually catered to- at the moment, Sellaband (still) is well constructed in this aspect.